Info: Upload 1 .DXF file for an instant quote. We'll do our best to ship in 3-4 work days. File Must be a .DXF File! 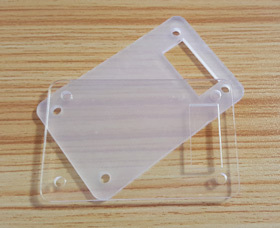 Clear 3.0mm extruded acrylic sheet with protective cover. More options soon! Super cheap laser cut acrylic. What could go wrong? Additional details to come! Please specify the DPI this file was saved in to scale it to the correct physical size.